My first article is about Maxine Waters. "I think he's a racist, I think he's a throwback and I don't mind saying it, any day of the week." Waters gives no evidence of any of this rhetoric. She says whatever lies she wants and people applaud. During former FBI director James B. Comey‘s testimony where he accused Trump of firing him over the ongoing Russia investigation, Comey recounted telling Sessions that he didn’t want to be left alone with Trump after the President asked Comey to end an investigation into his former national security adviser, Michael T. Flynn. 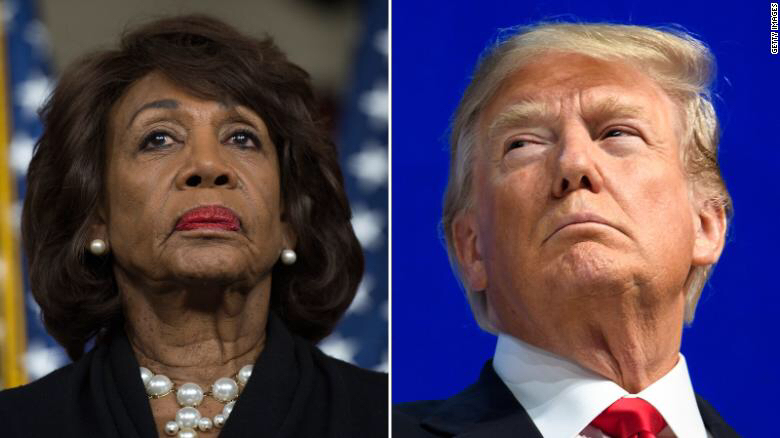 Waters used the statement to criticize Trump’s alleged collusion with Russia, as well as reference remarks he made with Billy Bush back in 2005. The 2005 interview occurred before Trump was set to film a cameo on the soap opera Days of Our Lives, and he said, laughing, that he needed "some Tic Tacs, just in case I start kissing her." In talking about kissing women, Trump boasted: "I'm automatically attracted to beautiful — I just start kissing them. It's like a magnet. Just kiss. I don't even wait. And when you're a star, they let you do it. You can do anything." "Grab them by the p****. 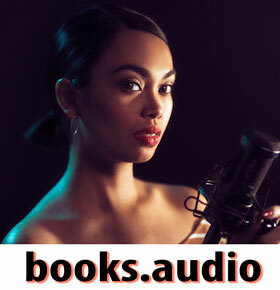 You can do anything,"
This is the Interview below. While I don’t agree with what Trump says, it was locker room banter and we have all said things in secret that we would not want to be publicized. Saying it doesn’t make it so. "There were seven other people on the bus with Mr. Trump and Billy Bush at the time," host Natalie Morales said of the incident, noting that camera crew, Trump's security guard, and his publicist were all present. She revealed that Nancy O'Dell, currently Entertainment Tonight co-host, was the woman identified on the tape as "Nancy" that Trump had been captured speaking crassly about." Trump told Bush, the nephew of former President George H.W. Bush and cousin of former President George W. Bush and former 2016 candidate Jeb Bush, about a time he unsuccessfully tried to seduce a married woman. "I moved on her, and I failed," Trump said. "I'll admit it. I did try and f*** her. She was married." He continued, "I moved on her very heavily." He said he even took her furniture shopping to try to get her to sleep with him. "I moved on her like a b**," he said, "but I couldn't get there. And she was married. Then, all of a sudden, I see her — she's now got the big phony t* and everything. She's totally changed her look." Following the comments, Trump and the others get off the bus and are met by actress Arianne Zucker, who welcomes them to the soap opera. In the video, Trump said,"Anyone who knows me knows these words don't reflect who I am. I said it, I was wrong and I apologize." He said spending time with people during his campaign travels has changed him. "I pledge to be a better man tomorrow and will never let you down," said Trump. Then he made accusations against the Clintons: "Bill Clinton has actually abused women and Hillary has bullied, attacked, shamed and intimidated his victims." Trump said he would have more to say in the coming days. Trump had issued a statement saying the remarks to Bush were "locker room banter, a private conversation that took place many years ago. Bill Clinton has said far worse to me on the golf course — not even close. I apologize if anyone was offended." This is unprecedented and has never happened until now. I am fairly certain that if anyone had a recording of everything Waters has said over the years, there would be secrets in her closet she isn’t proud of. Waters was speaking with MSNBC correspondent Chris Hayes when she called members of Trump’s cabinet with alleged ties to Russia “a bunch of scumbags,” whose sole interests are oil, gas, and money. Not only is Waters making an assumption with no merit, she is calling an entire group of Trump’s administration “scumbags”. How disrespectful can she be? Waters announced that she would not be attending President Trump’s State of the Union address. Trump had an amazing State of the Union Address and has done exactly what he said he would do for this country. The left has so much hate they refuse to acknowledge any of it. Waters gave a speech next to a print out of Mr. Trump as he allegedly “mocked” a disabled reporter during the 2016 campaign. This one makes me sick so I am providing a great deal of video proof against this flagrant injustice. It began on November 21, 2015, when, at a rally, Trump said he remembered seeing reports of Arab Americans celebrating the 9/11 terror attacks on rooftops in New Jersey shortly after the twin towers fell. Stephanopolous and all major news outlets immediately denied the existence of any such report following 9/11. The Washington Post wrote a detailed article claiming to “fact check” Mr. Trump, and after an exhaustive review, the Post stated there was absolutely no evidence of Trump’s claim and deemed it false. This obviously embarrassing for the media, especially the Washington Post, that the media was desperate to divert attention. During a rally, Trump pointed this out and paraphrased Kovaleski’s backtracking as he mimicked a reporter changing his story under pressure. While Trump spoke, he moved his hands around, acting flustered. It didn’t take long for the media to broadcast photos of Kovaleski with his right hand in a downward flexed position showing that he was disabled. 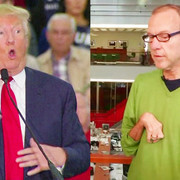 The media then went on the attack against Trump by accusing him of mocking a reporter’s disability. This was in hopes of averting attention from their oversight of the 9/11 Post. Liberals went so far as to freeze-frame a millisecond of the Trump video when his hand went into a flexed position. Then they deceptively captured a screenshot side by side with a picture of Kovaleski’s flexed hand. What the media neglected to show was a video of Serge Kovaleski. The media only showed photos, not video, and continue to do so. This was an intentional misrepresentation and distortion of the facts. As you see in the video below, Kovaleski’s disability is a congenital condition called arthrogryposis. Arthrogryposis causes restricted movement in the joints but does not cause spasms or uncontrolled moving of the limbs like cerebral palsy does. A CNN reporter explained, while displaying a still photo of him, that Kovaleski, “suffers from a chronic condition that impairs movement of his arms.” Again, implying Kovaleski can’t control his arms from moving. Another deceptive tactic. Furthermore, Trump used the same movements at a South Carolina rally to mimic Ted Cruz being asked about waterboarding. Trump making the same motions to impersonate Donna Brazile at a rally in Sanford, FL on 10/25/16. Waters said President Donald Trump’s use of the term “witch hunt” to criticize the special counsel Robert Mueller’s probe into allegations of Russian interference into the 2016 presidential election was a “tactic” from Russia itself. Waters, are you talking about “Russian tactic” like this? "We just have to be repetitive about this. It's not enough to have a catchy ad on a Monday and then only do it every Monday. We have to do this every day of the week and just really brainwash people into thinking about guns in a vastly different way." Let’s not forget that while everyone on the left attacks Trump for the so-called “Mocking” incident”, Baron and Melania have been attacked in the most heinous ways. Baron was made fun of by the liberal Hollywood elite simply because he was exhausted at 2 am and couldn’t keep his eyes open or keep his focus. I will add additional commentary on the family further in the series. Please comment below on how you like the first article of the series.